From Kids to adults bhindi (okra) is loved by all. Bhindi has its own lovely flavor that becomes even more tasty when it is cooked with some spices. 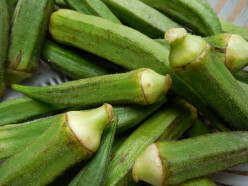 Crispy okra is a dish served in north Indian restaurants as a popular side dish. Previous Previous post: Do You Skip Your Breakfast ?